2019 REGISTRATION DOCUMENTS ARE NOW AVAILABLE! 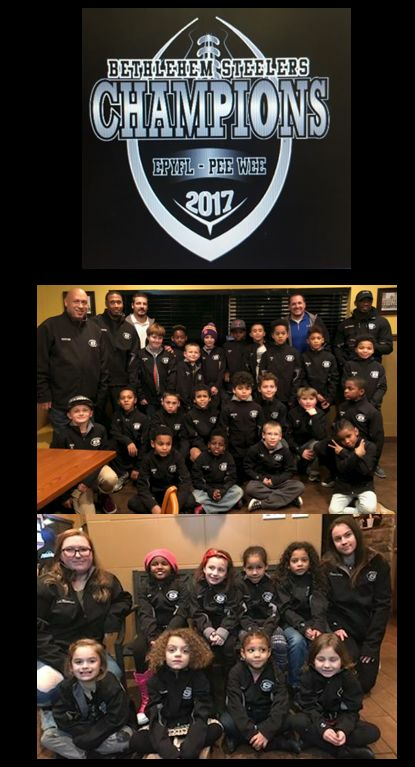 COME JOIN THE PREMIER YOUTH FOOTBALL ORGANIZATION IN THE LEHIGH VALLEY! 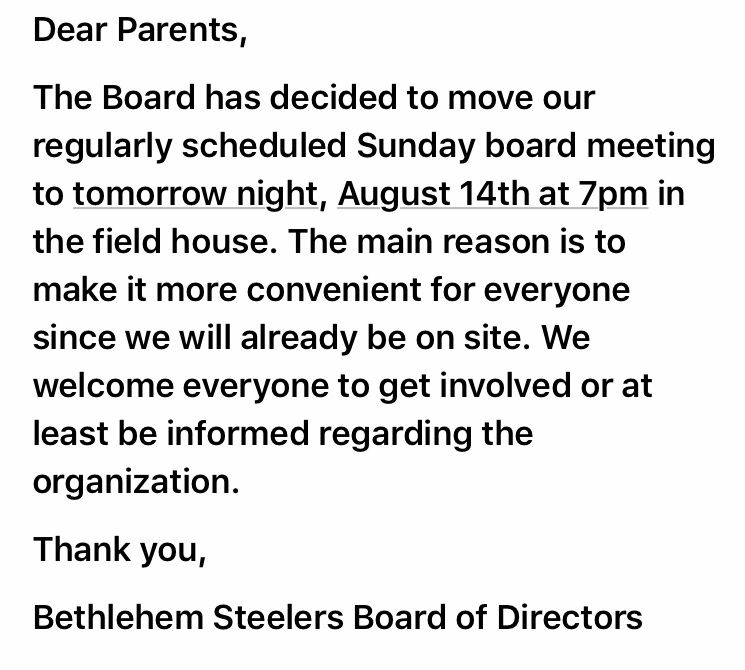 FOR ADDITIONAL INFORMATION PLEASE EMAIL US AT BETHLEHEMSTEELERS@GMAIL.COM. 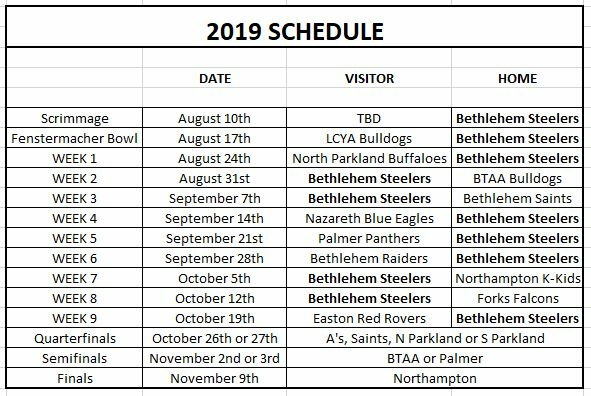  It's here--the 2019 Steelers Football Schedule!! 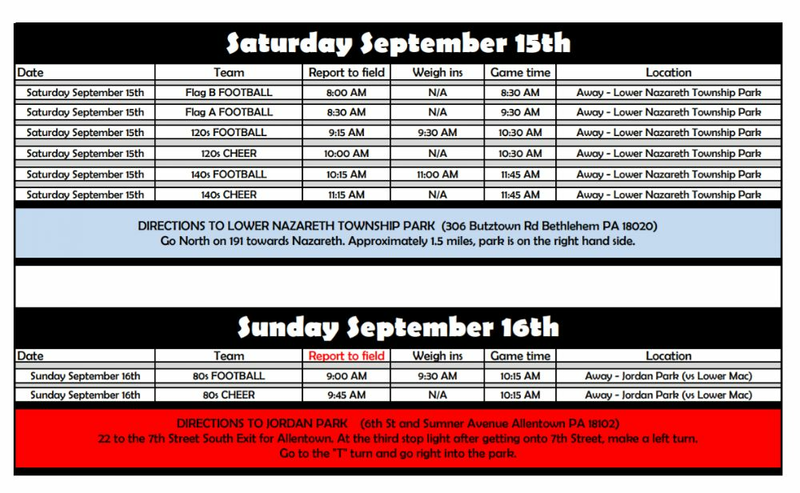 Please note that there are no 80s or Flag B games as Easton does not have teams at those levels. 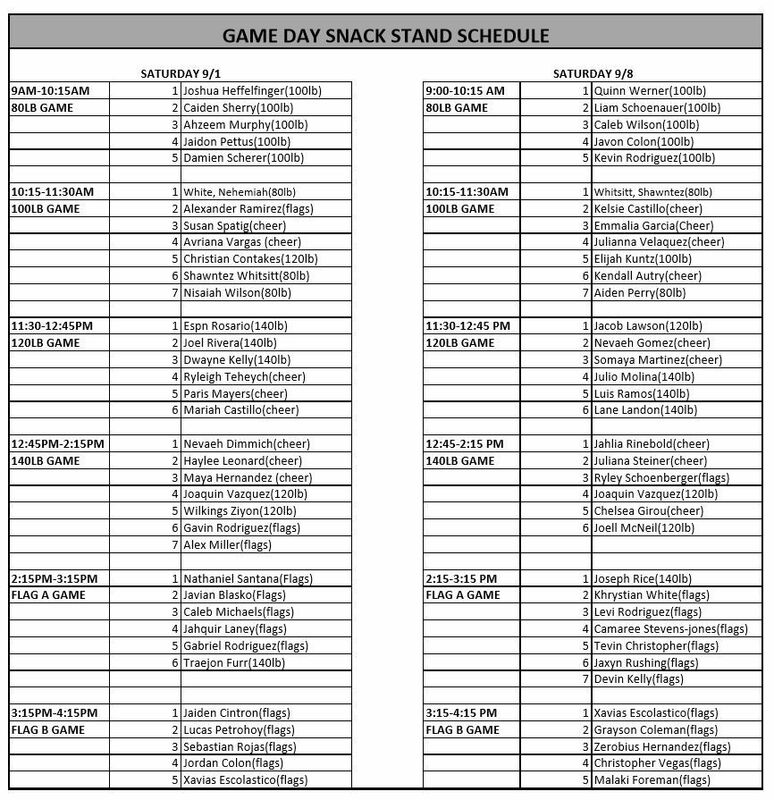 We will wear our PINK and BLACK jerseys as Easton is wearing red. 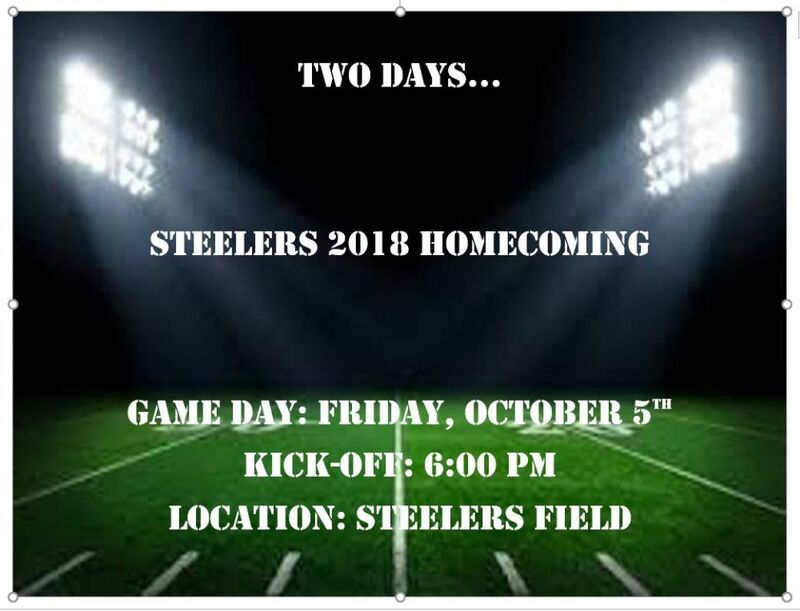 IT'S ALMOST TIME....STEELERS 2018 HOMECOMING!! 15% of your food and beverage purchase will be donated back to your children. 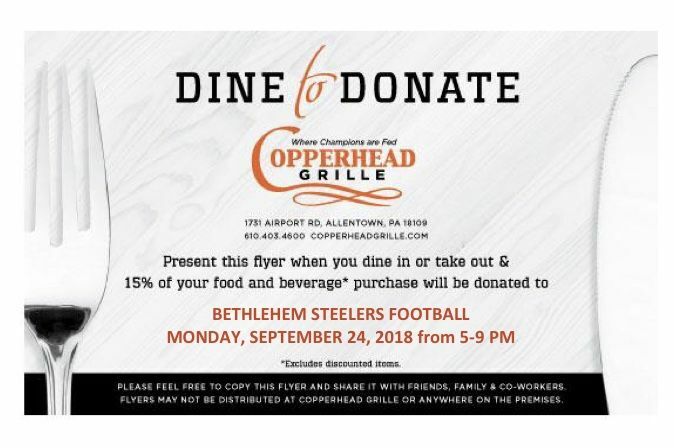 Please bring the flyer attached to your email when you come to the restaurant. Feel fee to give copies to friends and family. 100s have no game as Nazareth does not have a team at this weight class. 80s play on Sunday vs Lower Mac at LCYA. 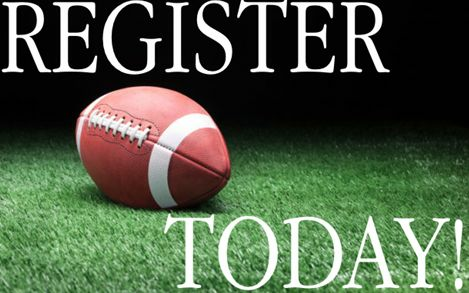 This is just a friendly reminder that tonight is the last scheduled registration for this upcoming Football and Cheer Season. 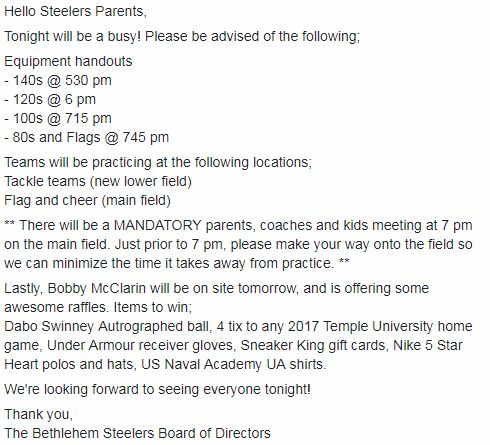 Registrations will be held at the Steelers Complex 1554 Schoenersville Road Bethlehem PA 18018 from 6:00pm-8:00pm. 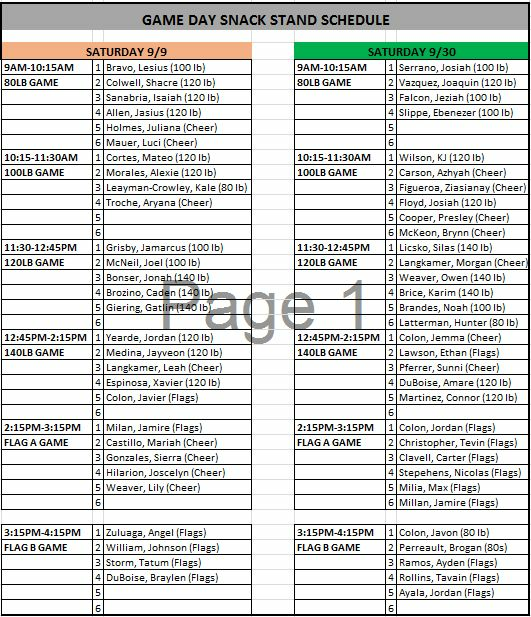 Rosters are filling fast... don't miss out! 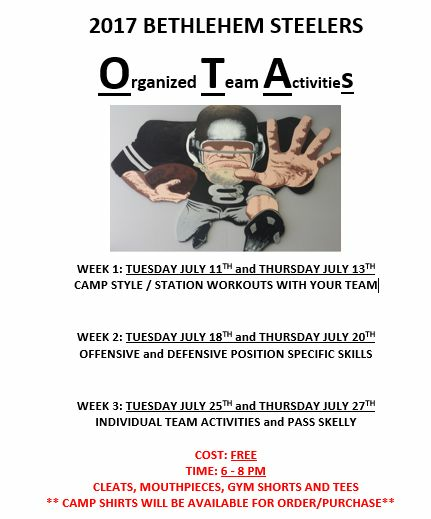 Calling all Football Players and Cheerleaders! 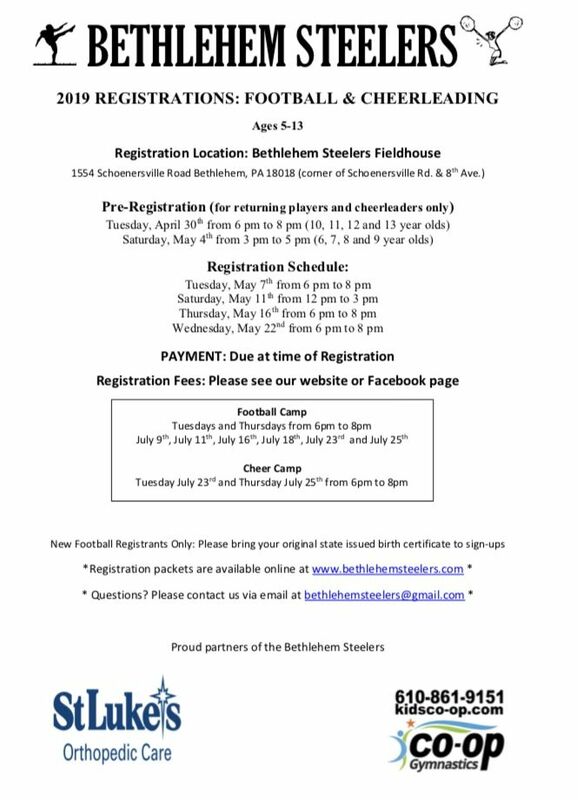 Come join the top Youth Football & Cheerleading Organization in the Lehigh Valley! 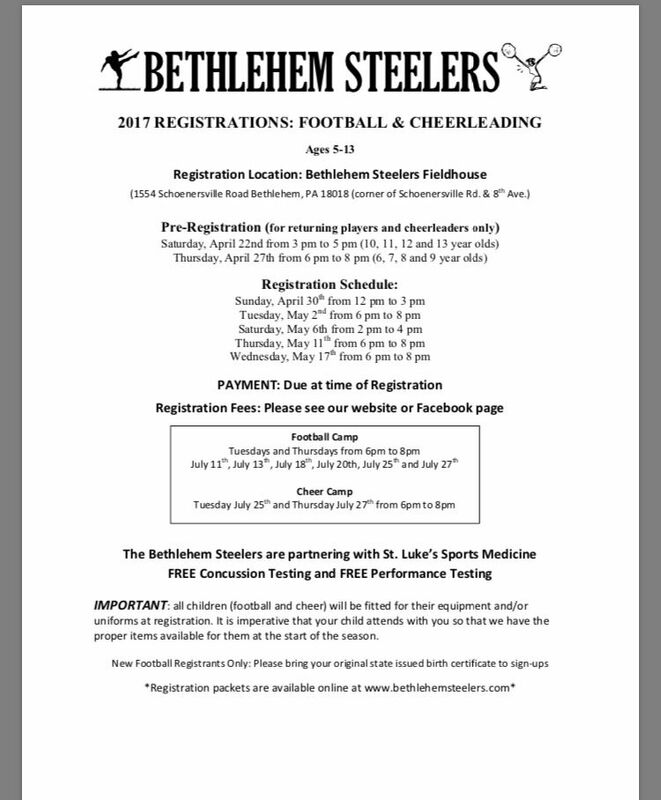 Please see the list below of upcoming registration dates for the Bethlehem Steelers. Roster space is limited don't miss out! 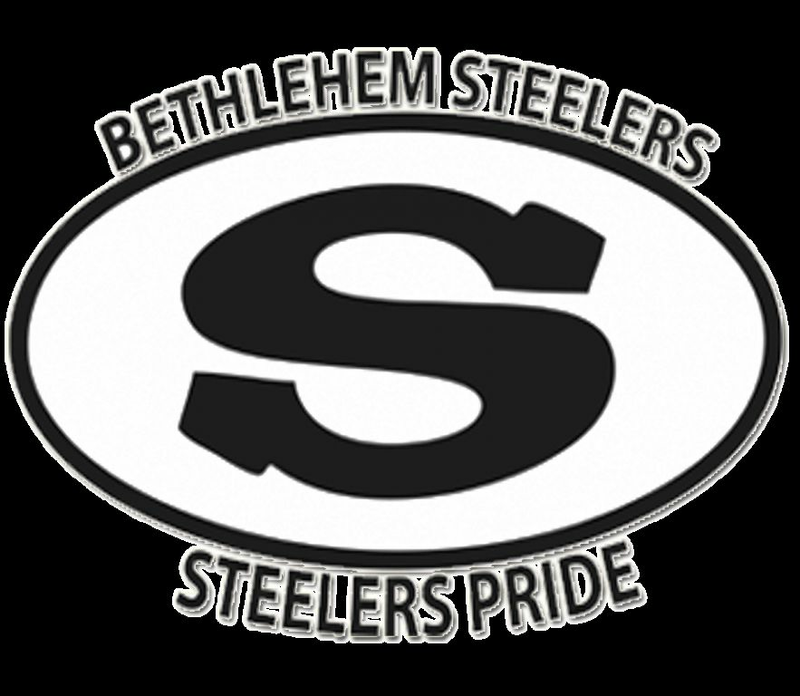 Bethlehem Steelers 2017 Pee Wee Championship! 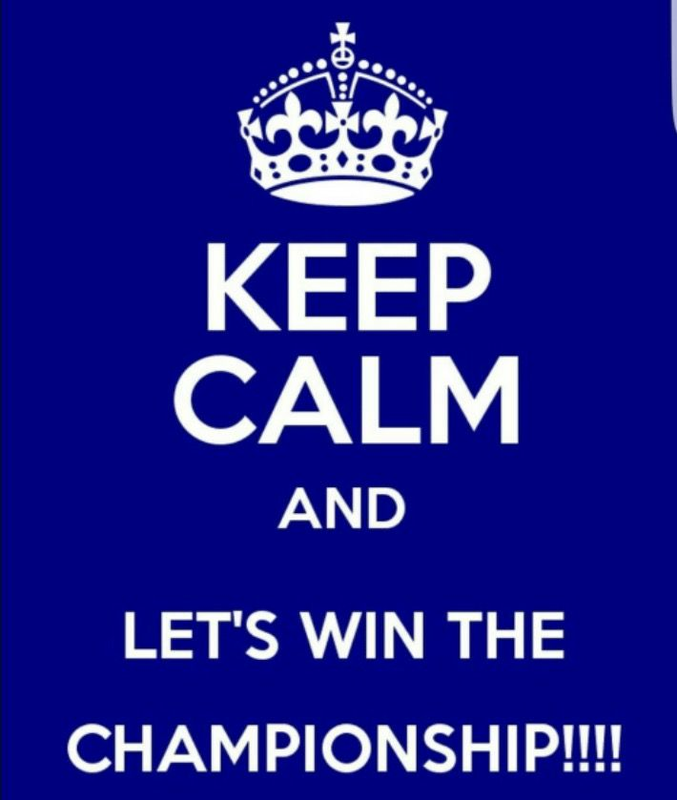 Congratulations again to our Pee Wee team for winning the 2017 Championship. First place out of 18 teams in the Lehigh Valley. Here are some pics of the kids after receiving their championship jackets. STEELERS PRIDE!!!! 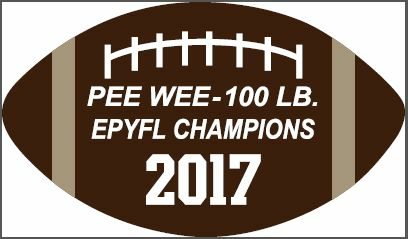 EPYFL PEE WEE 100 LB CHAMPS! 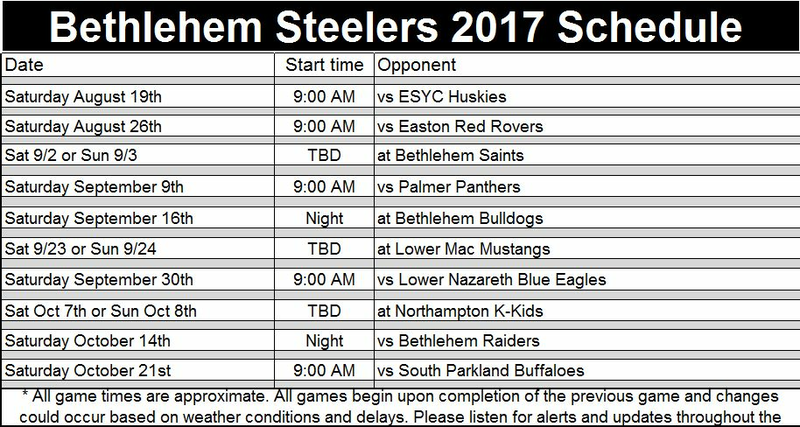 Good Luck to the Bethlehem Steelers 100 lbs Tackle Team this weekend as they play for the EPYFL Championship. 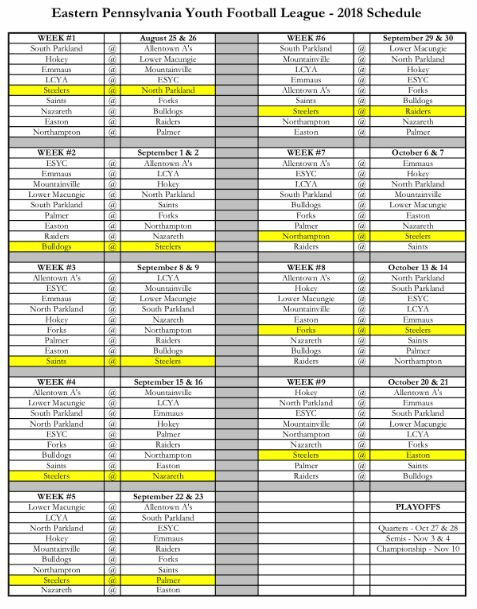 The game will be held on Saturday 11/11/2017 at Palmer. 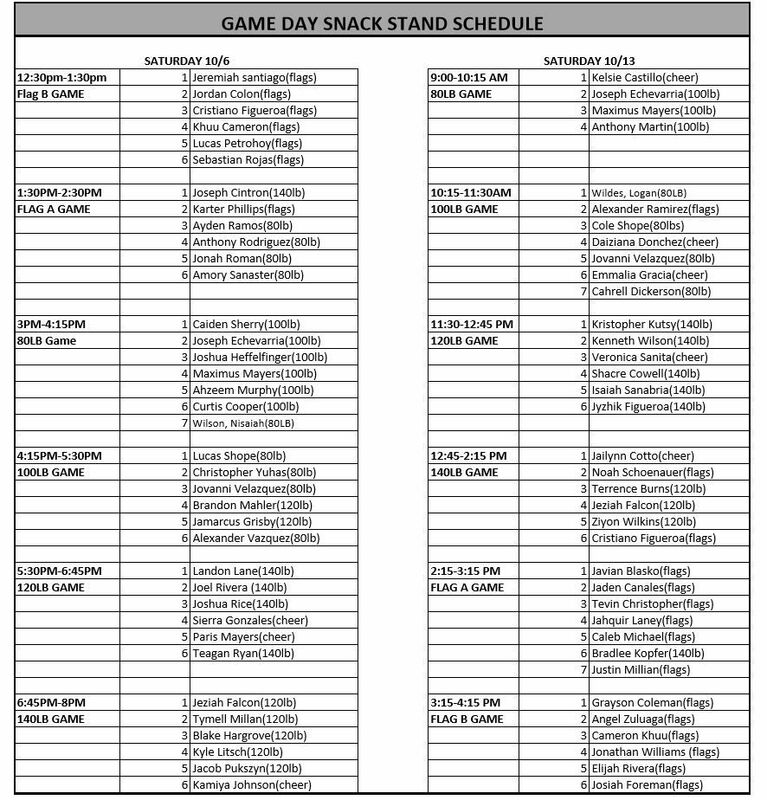 Game time is 3pm versus the Bethlehem Saints. 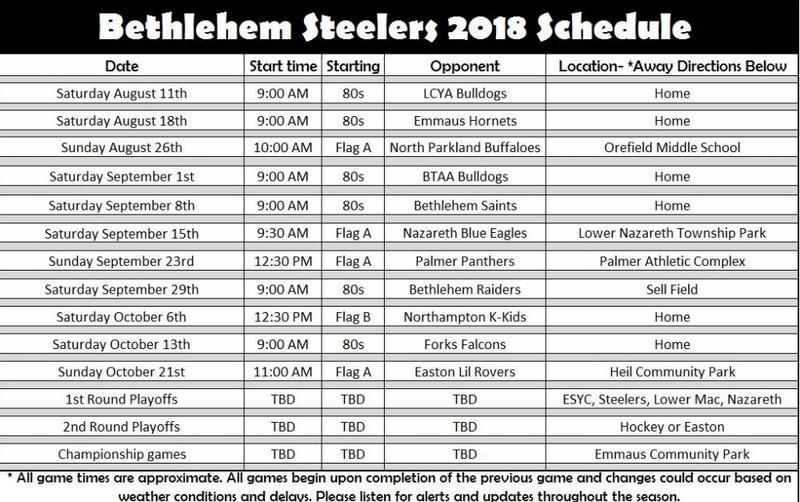 This is the 4th Bethlehem Steelers Team in 4 years that will play for a championship. 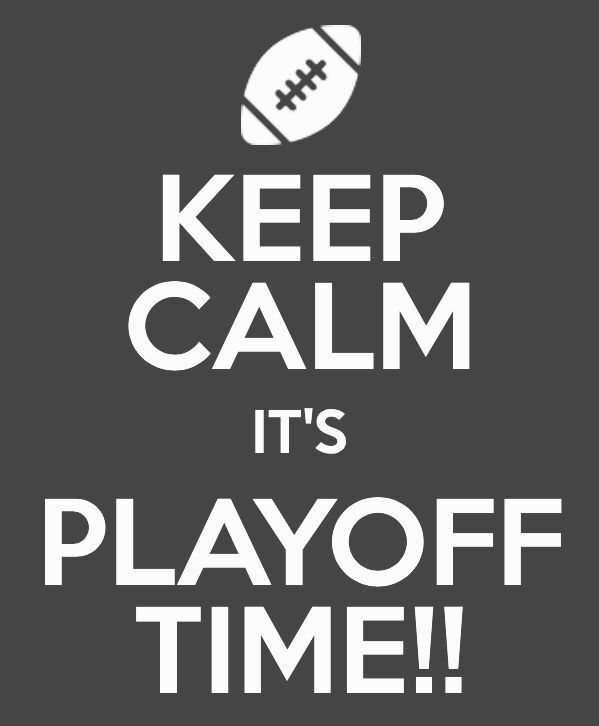 Good luck and GO STEELERS! 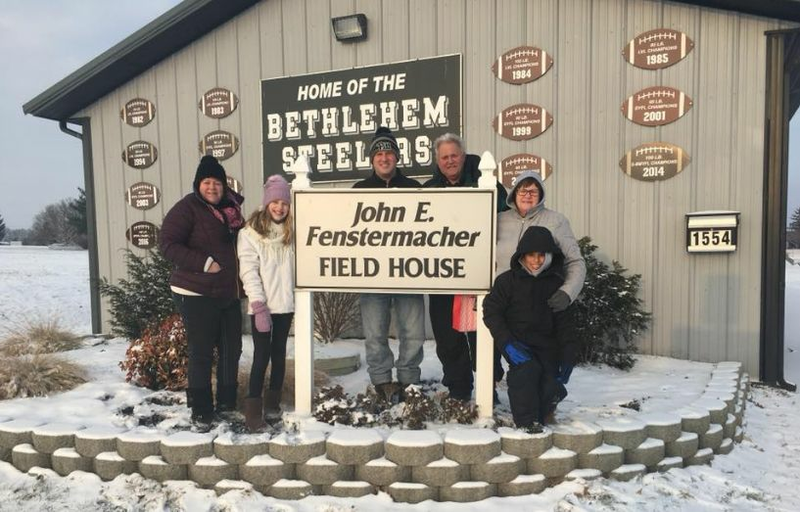 It was nice to be able to spend a little time with two of our long-time Bethlehem Steelers sponsors. I stopped in to see Mr. Jones at his WWRN Studio on Elizabeth Avenue in Bethlehem. I got the chat with the man who is able to recently propel his station onto iHeartRadio. I also was able to meet with Dwight at Taylor Family Markets on Schoenersville and Illicks Mill Road. We had some good conversation about sports, church and life in general. 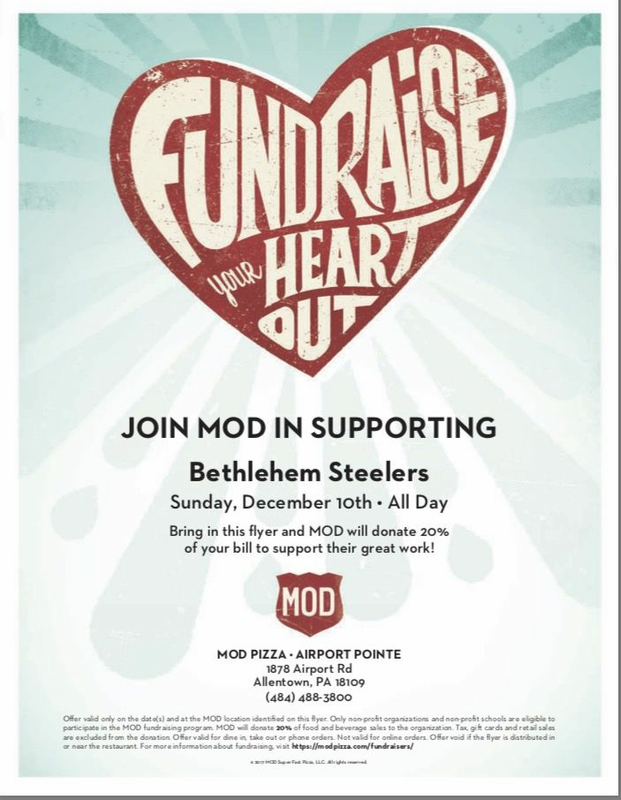 Two great sponsors of the Bethlehem Steelers and two great people interested in helping out and giving back. 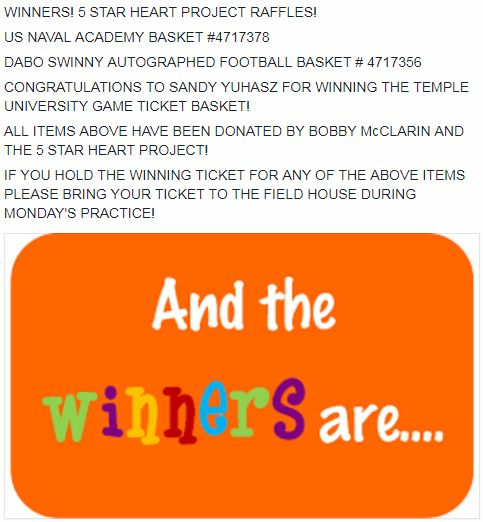 Please be sure to support our sponsors, if you can, as they provide continued support for our kids. 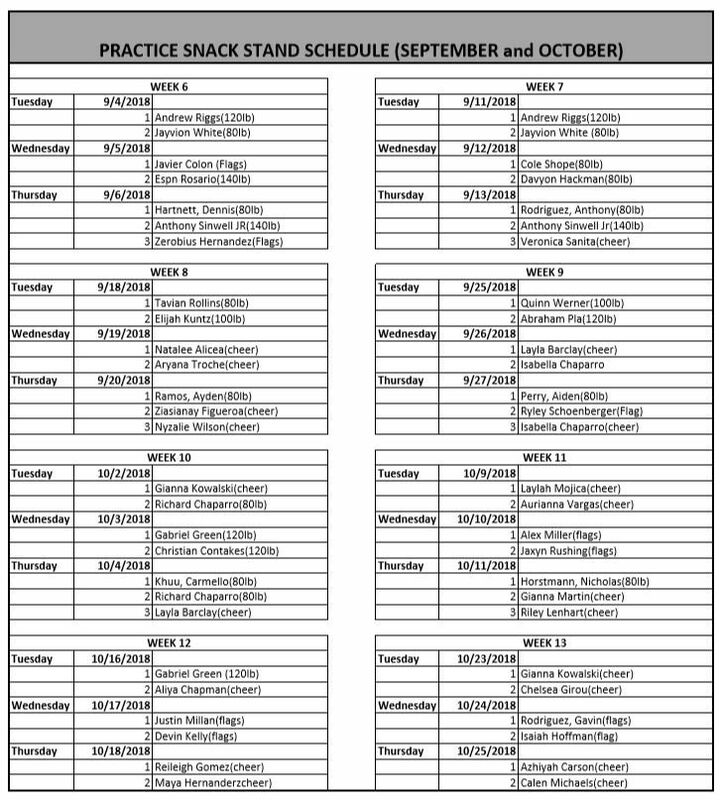 Please see the schedule for tonight's first practice! 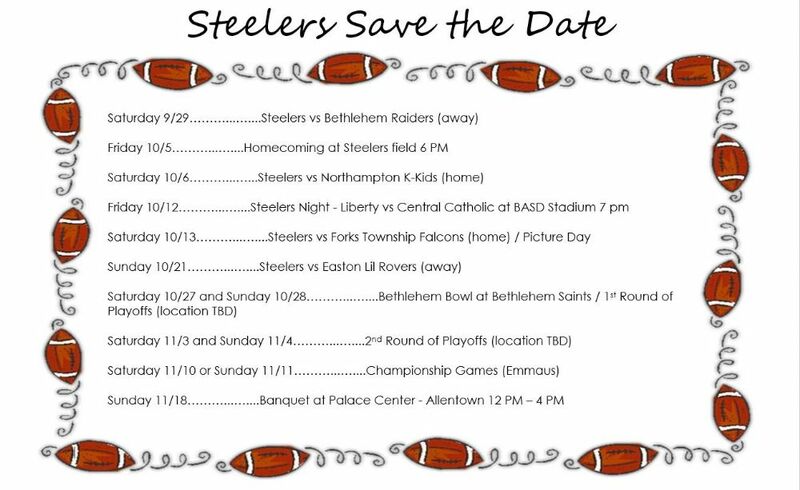 COME OUT AND SUPPORT THE BETHLEHEM STEELERS CHEERLEADERS! 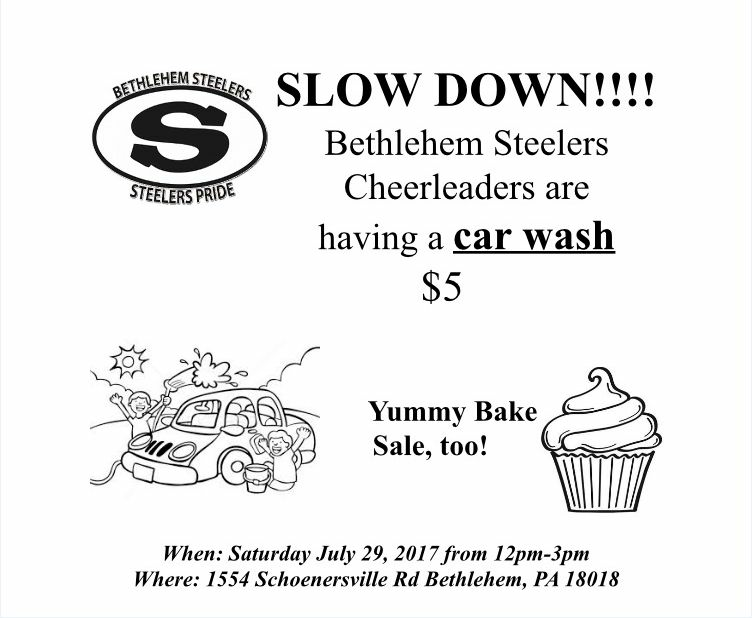 CAR WASH AND BAKE SALE! 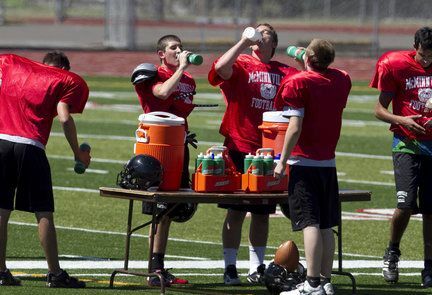 Keep your players safe when working out in extreme heat! 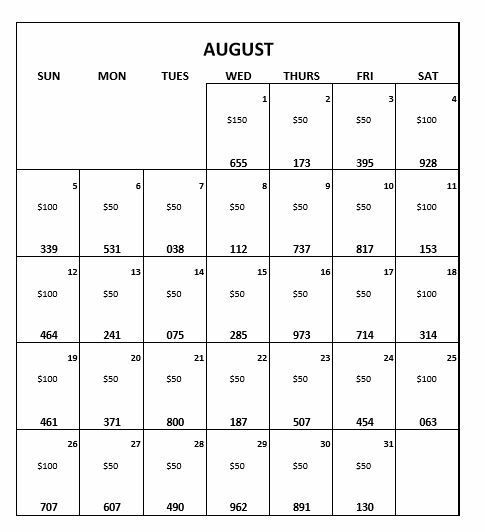 We know that school has just let out for summer break but one of the concerns brought to us by parents is the commitment of practice 4-5 nights a week for football. 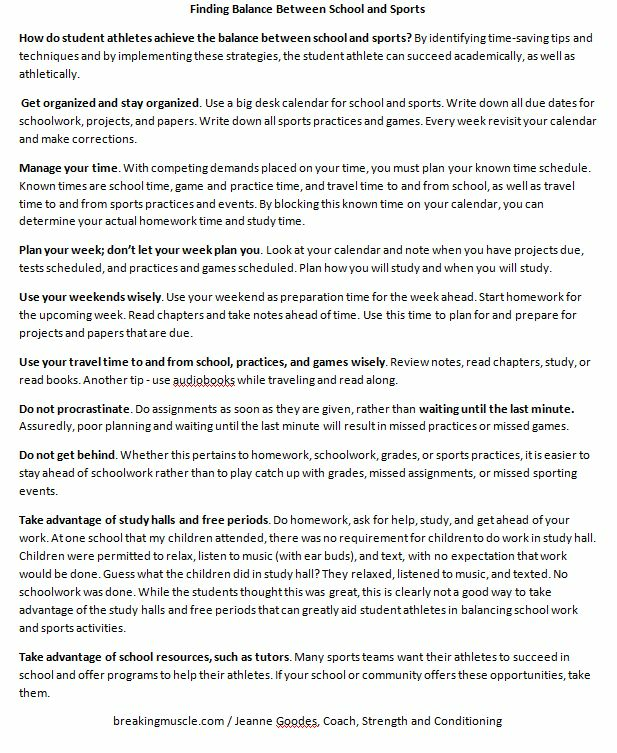 Here are some great tips to help your player balance his/her studies and demands from participating in youth sports. Great fundamental hands work for WR, TE and RB! 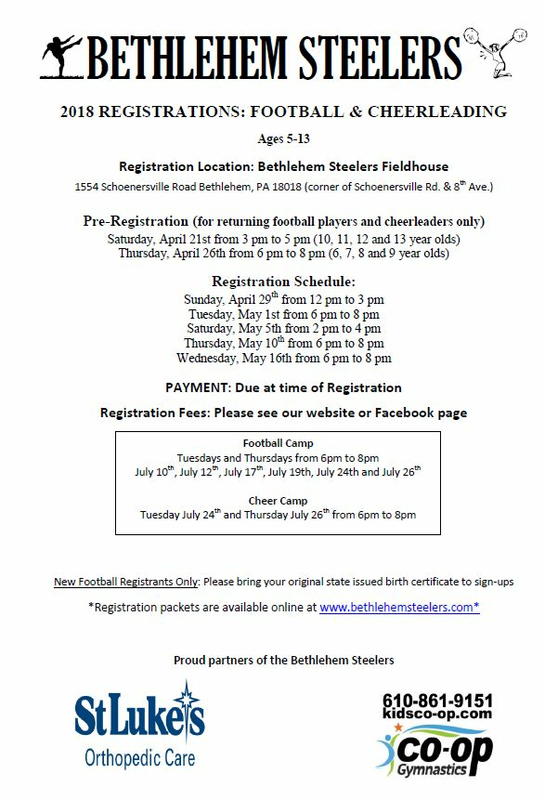 Counting down the days to Bethlehem Steelers Football Camp.... here is another easy drill that can be done in your own backyard. All good teams have a great offensive line! 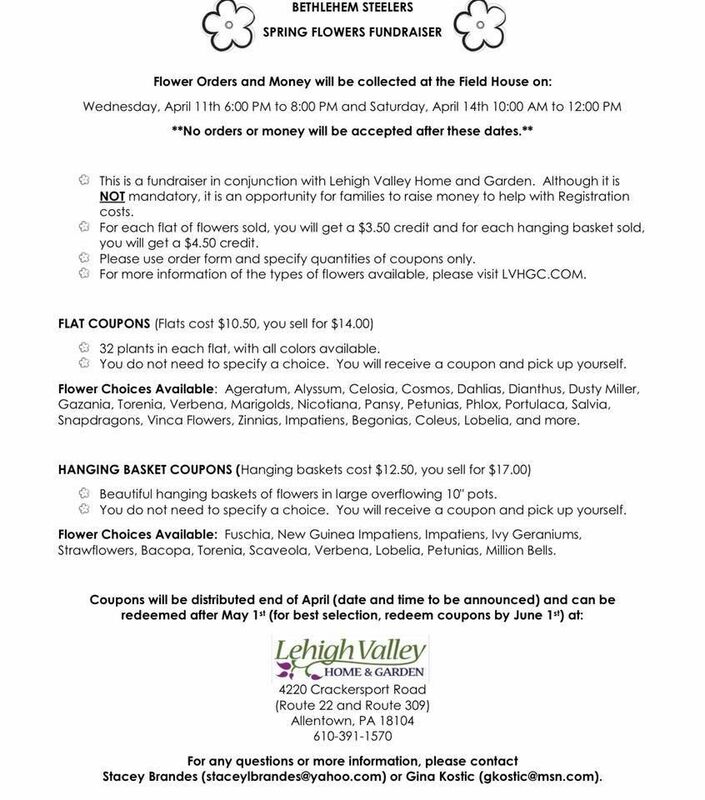 Last Minute Registrations Tomorrow 6pm-7pm! Tomorrow evening at the Field House from 6pm-7pm we will be taking any last minute player registrations for the 2017 season. 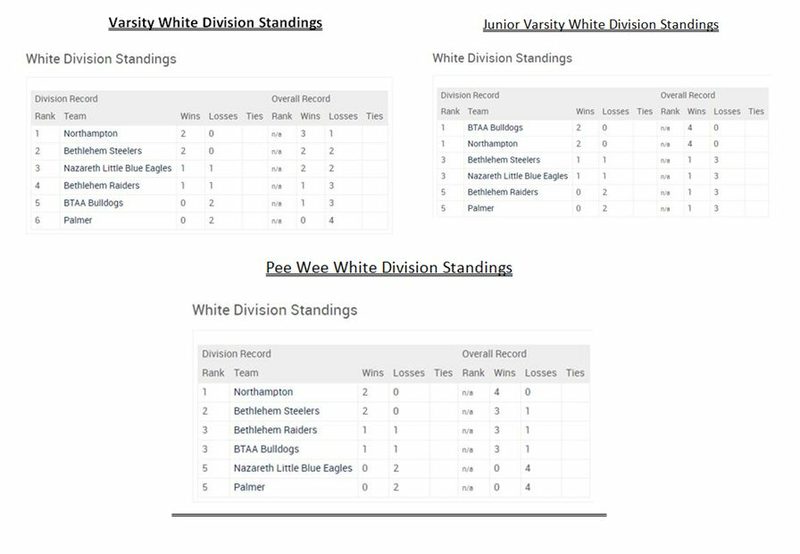 All teams have open roster spots except for 120 lbs Junior Varsity Team and Cheer leading. Arena jerseys are in! 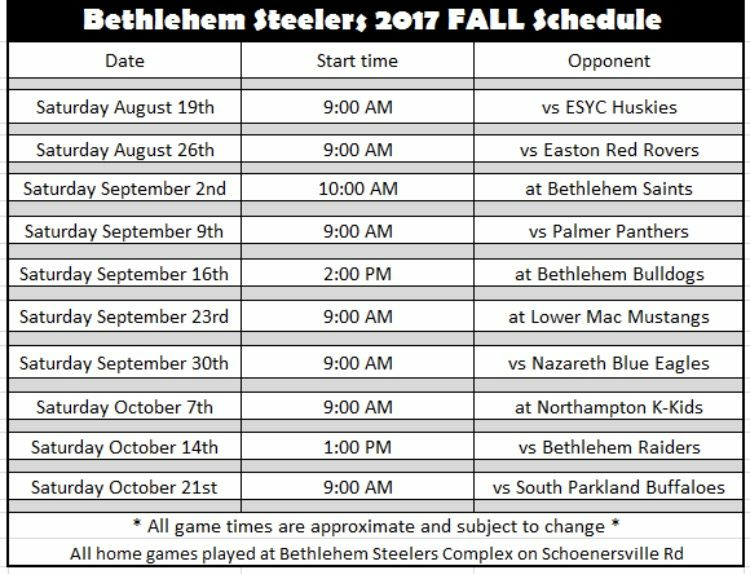 The Bethlehem Steelers arena team takes the field this Sunday at the PPL Center! 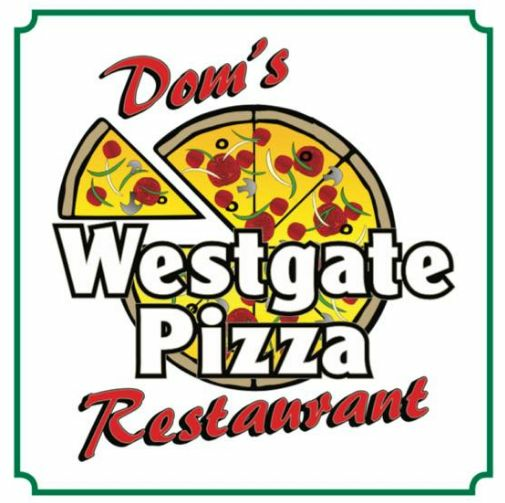 THE BETHLEHEM STEELERS PROUDLY WELCOMES WESTGATE PIZZA AS A SPONSOR FOR THE 2017 SEASON." 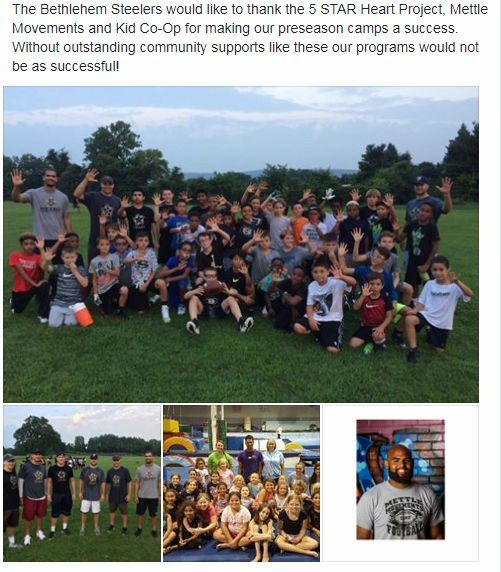 WE LOOK FORWARD TO A GREAT PARTNERSHIP AND APPRECIATE THEIR SUPPORT OF THE KIDS. IF YOU'RE LOOKING FOR A MEAL WITH FAMILY OR FRIENDS, WITH GREAT FOOD AND SERVICE, PLEASE BE SURE TO CHOOSE WESTGATE PIZZA! 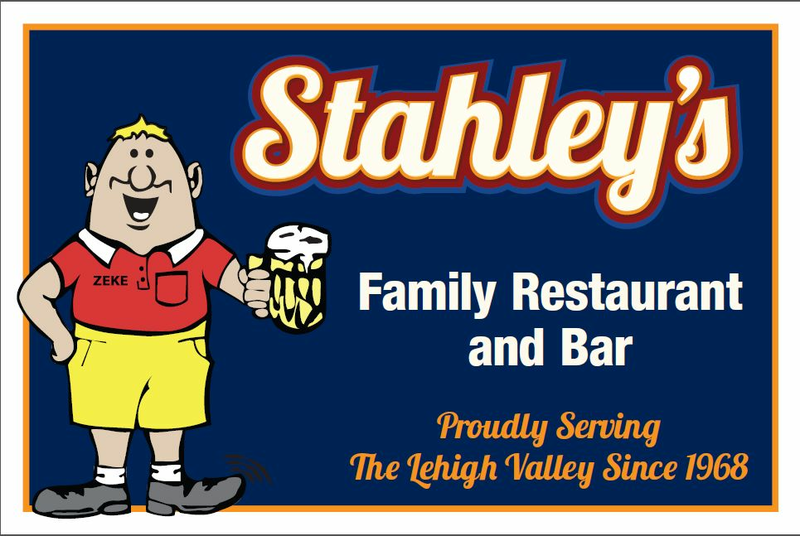 THE BETHLEHEM STEELERS PROUDLY WELCOME STAHLEY'S FAMILY RESTAURANT AND BAR AS A SPONSOR FOR THE 2017 SEASON." 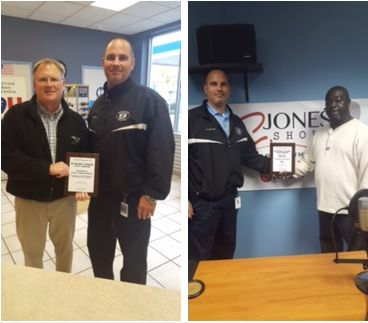 WE LOOK FORWARD TO A GREAT PARTNERSHIP AND APPRECIATE THEIR SUPPORT OF THE KIDS. IF YOU'RE LOOKING FOR A MEAL WITH FAMILY OR FRIENDS, WITH GREAT FOOD AND SERVICE, PLEASE BE SURE TO CHOOSE STAHLEY'S!